Searching is new and improved! 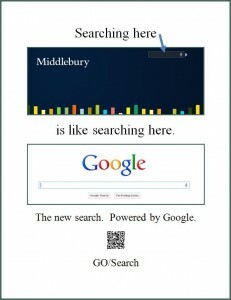 Did you know that the search box on college web pages is now powered by Google? (You may have heard of them – they sort of specialize in searching.) So now when you are looking for something, you should be able to find it from the search box. Give it a try! 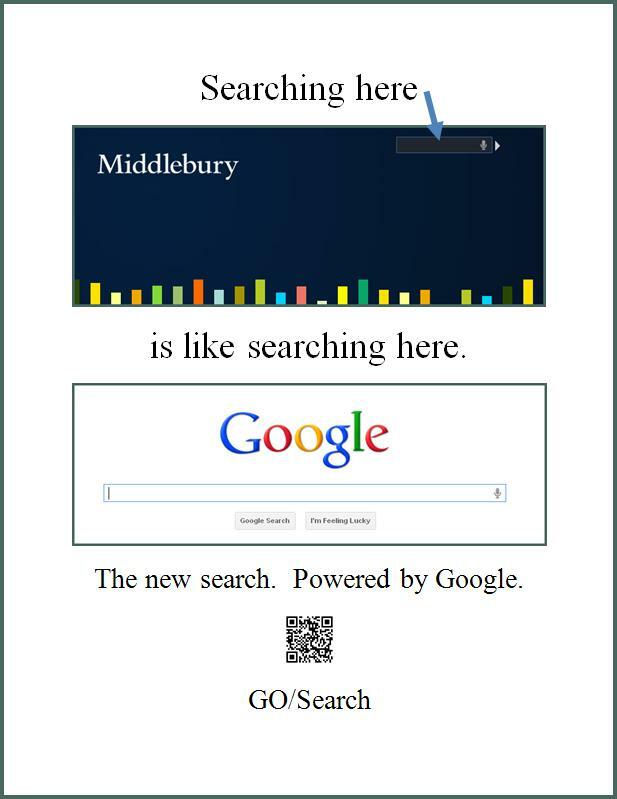 This entry was posted in LIS Staff Interest, Middlebury Community Interest, Post for MiddPoints and tagged google, search on September 28, 2011 by Dan Frostman.